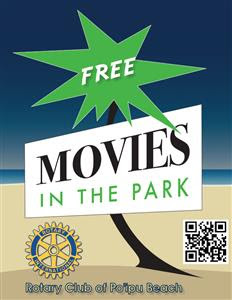 A fun event for the whole family, "Movies In The Park", August 12, 2016, Friday. Come to Poipu Beach Park and look for the inflatable screen. Food vendors will be on hand to provide snacks and other food items. This is a drug free, alcohol free family event.